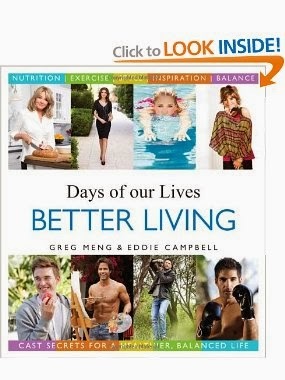 Meet members of the cast along with the Executive Producer of the daytime soap opera Days of Our Lives as they join us for a book signing of Days of our Lives Better Living, a book featuring healthy living secrets on diets, health, sleep and fashion from cast members. Catch Days of our Lives Weekdays on Global. • Space will be available on a first-come, first-served basis while quantities last. • Individuals must have a copy of Days of our Lives Better Living to be in line. • Will sign 1 copy of Days of our Lives Better Living per person (no other books). No personalization, autograph only. • NO memorabilia or additional items will be permitted for the signing including posters, clothing, other books, DVDs, CDs or any other item. Signing books only. • Candid photos only – there will be no posed photography. • Proof of purchase required from any Indigo, Chapters, or Coles.